Good morning. My name is Rohit Malpani and I am the Director of Policy and Analysis at Doctors Without Borders, or Médecins Sans Frontières. MSF is an international medical humanitarian organization which provides impartial medical assistance to those affected by armed conflict, epidemics, exclusion from health care, or natural disasters. Today, MSF carries out this work in more than 70 countries worldwide, while raising awareness on neglected crises and advocating for improved medical tools and protocols. MSF has been invited to provide testimony on India’s intellectual property laws. As a medical treatment provider, MSF is able to speak about the relationship between intellectual property rules and access to medicines, and about the role India has played in enabling millions access to life-saving medicines. In 2001, MSF faced what seemed like insurmountable barriers in meeting critical health needs and saving the lives of our patients. 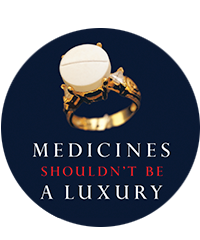 In particular, we faced an astronomical 10,000-dollar per-person per-year price-tag for life-saving HIV medicines which barred treatment for millions and prevented us from being able to reach more than a very limited number of patients. But a solution was found in India. The country, free from having to grant patents on medicines until 2005, was able to manufacture low-cost, quality generic medicines for a fraction of the existing price. Literally overnight, the cost to treat someone with HIV fell by over 96 percent, to 360 dollars per person per year. Generic competition has seen the cost fall even further. As a result, more than nine million people worldwide now receive treatment for HIV, many of those from PEPFAR-funded programs. India’s role in this treatment scale up has been – and continues to be – a critical one. As the ‘pharmacy to the developing world’, and the biggest source of quality generic medicines, governments and donors such as the United States rely heavily on Indian generic medicines. 98 percent of the medicines used in American-taxpayer funded treatment programs rely on low-cost generic medicines manufactured in India. Today, India is a full member of the World Trade Organization, providing patent protection for medicines. Between 2005 and 2008, India granted over 2000 patents for medicines, and continues to grant patents today. These patents delay generic competition, which keep costs high and places an enormous burden on treatment providers such as MSF, Ministries of Health in low-income countries and donor governments, including the US. While India does reward genuine innovation with 20 year patents, it manages to strike a balance between providing intellectual property protection and having the flexibility to protect public health. This balance is possible as both the TRIPS Agreement and the 2001 WTO Doha Declaration on TRIPS and Public Health enshrines the right of WTO members to implement safeguards and flexibilities. One safeguard under TRIPS is the right of governments to define strict patentability criteria. Governments have the right to define ‘scope of patentability’ in a way that addresses the needs of their own citizens, as long as they abide by international agreements. The US recently contributed to its own definition when the Supreme Court reaffirmed strict patentability criteria for gene patents. India has adopted a standard of pharmaceutical patenting that is stricter than that in the U.S. or the EU, but which is in line with international trade rules. In rejecting one patent application by Novartis on a salt form of an already known substance, the Indian Supreme Court was legally validating a choice by the Indian government that patents should only be granted when those products represent a genuine advance over older versions of medicines. By contrast, the US has decided to approve secondary patents for very obvious modifications of existing medicines which often delays generic competition and keeps prices high. This is a practice commonly called ever-greening by which the pharmaceutical industry extend their monopoly on drugs beyond the original patent’s 20 years. Allowing companies to extend patent protection and keep prices high is expensive for U.S. consumers and the U.S. government. A second legally recognized safeguard to overcome barriers of affordable access is the right to issue compulsory licenses. The U.S. government used compulsory licenses for medicines in the past to meet public health needs, and stated that it would look to use them in the future if necessary. In India, a compulsory license was granted in the interest of public health when the country was faced with a price-tag for a cancer drug which kept it out of reach of 98 percent of those eligible for treatment. Granting the compulsory license reduced the price by 97 percent, whilst recognizing the innovation behind the drug through the payment of a 7 percent royalty. The U.S. government continues to make adjustments to its patent system to achieve a better balance between rewarding innovation and providing for public health needs. It should allow other governments, like India, to do the same. The measures taken by the Indian government do not undermine innovation, but rather curtail the worst excesses of the patent system and ensure that companies focus their energies on scientific, and not legal, innovation. Governments around the world and US assistance programs are straining under high costs for new medicines. In times of economic austerity, we should remember that high medicine prices are an issue of life and death for millions of people. Ensuring that balanced innovation systems make these medicines available to those who need them most is imperative. Thank you again for the opportunity to provide testimony on this important topic.